Do you remember the movie She’s All That? It came out in 1999 and was up there with Clueless and American Pie on the short list of teen movies that defined the 1990s. Here’s the plot: two high school friends make a bet that one of them can turn a shy, unassuming, seemingly unattractive girl into the prom queen in 6 weeks. A new hairdo here, a new wardrobe there, and the next thing you know that seemingly unattractive girl has been transformed into a drop-dead gorgeous bombshell. I have great news for all of you that are invested, living in, or just love Jacksonville, Florida. Jacksonville is currently a thinly-veiled ugly duckling that is about to get her big staircase reveal and be totally transformed. BAM! This translates into GREAT things for all of you. Despite a bad makeup job and some suspect wardrobe choices, Jacksonville is just like Rachel Leigh Cook in She’s All That. With strong leadership and the ability to take advantage of some key opportunities, Jacksonville has a great chance to reveal herself as the “knockout” we all know she can be. 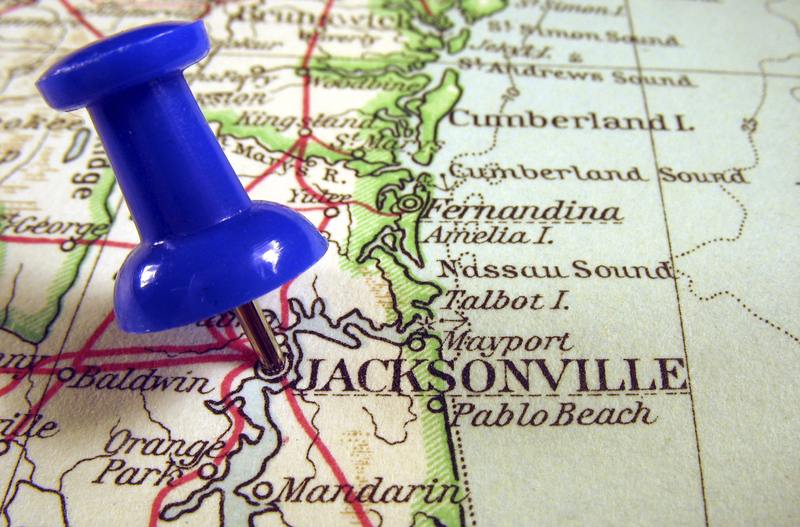 It may be a surprise to some of you, but despite its awards, accolades, robust economy, and strong real estate recovery, Jacksonville has always been an underperformer. It has never taken full advantage of its natural assets and has never lived up to its potential as a world-class city. However, there is now a plethora of leaders (both young and seasoned) that are challenging old stereotypes, taking advantage of opportunities when they present themselves, and not taking no for an answer. Jacksonville should not be an underperformer for long. There are six areas in which Jacksonville is already taking off – or is getting primed up to do so. Thanks to events like Elton Rivas’s One Spark (the world’s largest crowd funding festival), HUNDREDS of new startups in the last 6 years, and a wealth of incubator/accelerator resources for startups (such as new Jaguars owner Shad Khan’s incubator KYN), the transformation is already happening. It’s only a matter of time until CNN’s headline is validated and Jacksonville’s reputation follows suit. IBM spent a million dollars on in-kind consulting work to deliver Jacksonville’s downtown a Smarter Cities roadmap to becoming a leading-edge 21st century city. New mixed use and high rise developments are being built downtown for the first time since the recession hit. The newly formed Downtown Investment Authority is an independent organization with some real power to spur downtown development. Young professional groups passionate about downtown are springing up all over Jacksonville and the energy and passion to transform downtown is at an all-time high. Read the January newsletter from two months ago for a full refresher! If you do not have a copy of that newsletter, find it on our JWB Blog at JWBRealEstateCapital.com/blog/. Type into Google Search, “Jacksonville LNG central,” and read the first few articles that pop up. What you will find is that in the past five months, three different partnerships have emerged to put three different LNG production facilities in Jacksonville. Clean Energy (T. Boone Pickens Company) announced in October their facility – the first of its kind in the nation – should be completed in 2015. This will require an investment of hundreds of millions of dollars and will supply 300,000+ gallons of LNG per day. Also, Pivotal and WesPac are partnering on a different facility which will provide Sea Star Line’s new LNG fueled ships. Last but not least, California giant Sempra partnered with Jacksonville Electric Authority (JEA) on a $5M study to figure out the feasibility of building an LNG facility on JEA land. Why all this interest all the sudden? It’s simple. LNG is a cleaner, cheaper alternative fuel that is now in great supply due to the US fracking boom. Jacksonville has built-in demand for it as well as being a long term strategic location due to its port and natural logistical resources. So where is this built-in demand coming from? It’s coming from the Port as a number of different shipping lines – Sea Star and Crowley among them – are converting their ships to LNG. JEA is also already a heavy user of LNG and their use is expected to grow. CSX Corporation is headquartered in Jacksonville and industry observers predict that the railroads will soon be switching to the cleaner-burning, cheaper, LNG. The transit authorities of Jacksonville and St. Augustine are already using some LNG and have intentions of greatly increasing use. All of this illustrates the point that the current demand is here. The wildcard is LNG export. At this point, it only seems like a matter of time until Washington lifts the ban on energy produced in the US. Should that happen, billions of dollars of LNG could be transported to Puerto Rico, the Caribbean, South America, and Europe, and the ports exporting that LNG would see a tremendous economic impact. According to the just released, “Economic Impact of Tourism in Jacksonville, FL” study commissioned by VisitJacksonville.com, tourism in Jacksonville and Northeast Florida to include direct, indirect, and induced business sales, has generated $2.2 Billion in revenue in FY2013. 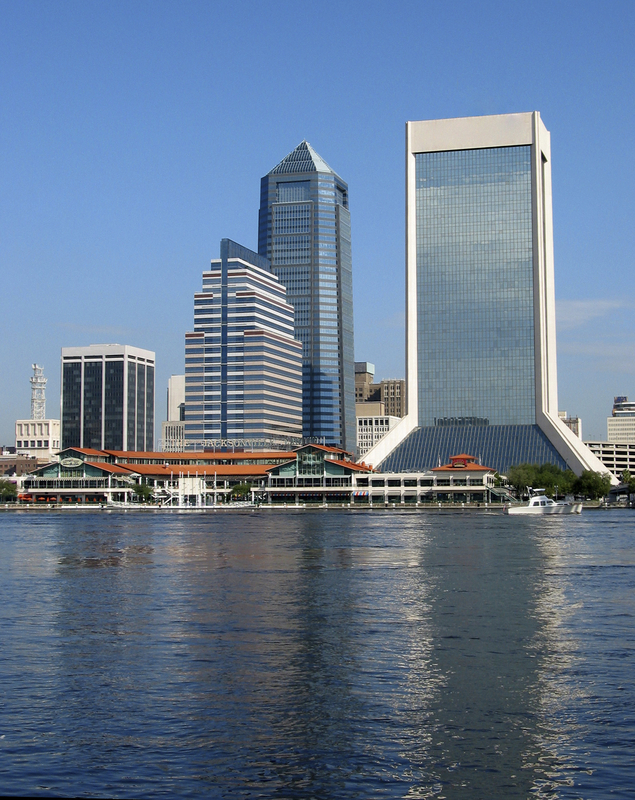 However, there is still much more that Jacksonville can be doing – and has started to do – to greatly increase tourism in Jacksonville and the economic growth that would come from it. Jacksonville City Council and Mayor Alvin Brown recently approved the US Navy to bring the USS Charles F Adams, an ADAMS-class guided missile destroyer, to downtown Jacksonville to function as a naval museum. The 437 foot long destroyer is to be parked at the Shipyards site in downtown Jacksonville, and is expected to attract 150,000 tourist per year. The ADAMS class museum is the first step in Jacksonville realizing that, while tourism accounts for a large part of the local economy, it could account for much more, and especially in downtown Jacksonville. It is estimated that out of the approximately 95 million people that drive through downtown Jacksonville every year on I-95, 25 million of them are tourists with the vast majority of them just driving through on their way to vacation in southern Florida. The economic impact of having just 10% more of those tourists stop in downtown Jacksonville for a night on the way to their ultimate destination would be exponential. Jacksonville has a natural advantage in getting those tourists to stop in the city. When heading south on I-95 from Richmond, VA, Jacksonville is the first city that you come to. Other cities such as Savannah and Charleston are 20 to 40 minutes off the highway. Bing situated four to eight hours from many other vacation destinations such as Naples, Miami, the Florida Keys, it should be a perfect place to stop for the night. In putting a great, educational, patriotic tourist attraction downtown, it seems that Jacksonville is starting to catch on to the potential for tourism to become an even larger driver of our local economy. The Port of Jacksonville (JAXPORT) is an international trade seaport on the St. Johns River in Jacksonville, Florida. According to the JAXPORT website, the port carries over 21 million tons of cargo each year, and has an annual economic impact of 19 billion, including 65,000 jobs. It is a huge driver of Jacksonville’s economy. However, much of JAXPORT’s potential lies untapped, because of the depth of the channel that leads to JAXPORT. The channel is currently at 40 feet, which is suitable for the majority of ships that currently dock at the port. However, when the widening of the Panama Canal is completed (expected to occur in 2015-2018), the much larger “New Panamax” class ships will need a channel depth of 47 feet to bring in their maximum cargo. More cargo means more jobs and more money for the local economy. JAXPORT cleared one hurdle about a month ago when the Army Corp of Engineers review board signed off on the 47-foot depth dredging, which means it is very likely that the project will receive a Chiefs Letter in April, and a good likelihood that the project will get included in the Water Bill that was passed by Congress last year. This would fast-track the harbor deepening, and would mean Jacksonville would be getting its deep water port at the same time as its main competitor, Savannah. One national real estate expert, Greg Rand, predicted that the population of Jacksonville would increase 50% over the next ten years due to the job growth that would be created from the port. That would obviously have some very positive impacts on the economy and real estate prices in Jacksonville. Cecil Airport is located at the site of the former Naval Air Station Cecil Field, which closed military operations in 1999. In 2010, Cecil Airport became the 8th licensed commercial spaceport in the country and the first in Florida authorized to fly space vehicles that take off and land horizontally. Facilities operated by major aerospace firms such as Boeing and Northrop Grumman are located at Cecil. In December of 2013, Generation Orbit Launch Services, Inc., an Atlanta-based commercial space launch provider, signed a memorandum of understanding to operate a launch facility at Cecil, which was a major development for the spaceport. Test flights are expected to begin as early as 2014, with operational launches forecast to begin in 2015 or 2016. The Jacksonville Aviation Authority is expected to continue to invest in Cecil to attract more space launch providers to the spaceport. According to a 2010 study by the FAA, space tourism could become a billion dollar market within 20 years. With one of the only operational spaceports in the U.S., Jacksonville is poised to capture a significant part of that market. As previously stated, even if only one or two of the six areas of growth for Jacksonville actually pan out (which would seem like a worst case scenario at this point), Jacksonville should be a very different place in a few years. Even if none of them do – well, Jacksonville will still be a great place to live, work, play and invest. No state income tax, great weather, a relaxed, laid-back atmosphere, and a high quality of life will continue to draw people here; Jacksonville’s economic stalwarts- banking, logistics, healthcare, and the military – will continue to drive economic and real estate value growth! Alex Sifakis is the President of JWB Real Estate Capital. JWB serves clients in 10 countries and 32 states who have invested in over 1,000 investment properties since 2006. 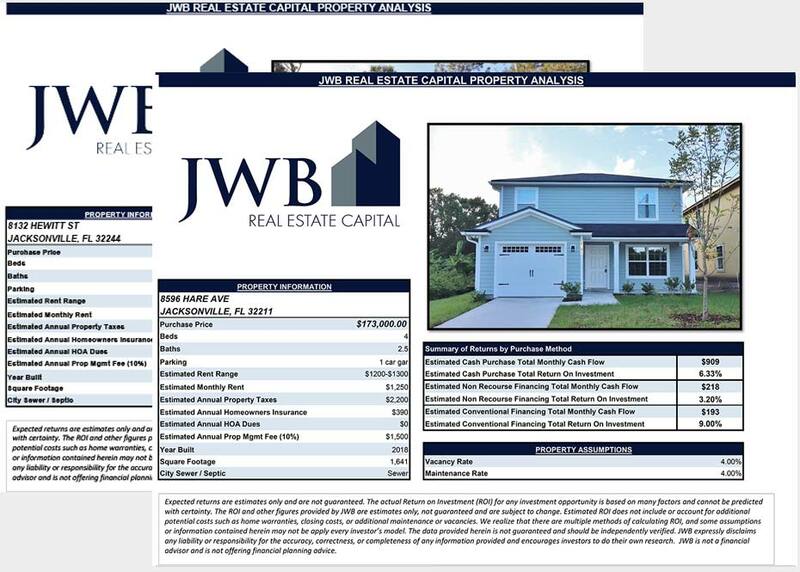 In 2012, JWB was recognized as the #12 Fastest Growing Real Estate Company in the US by Inc. Magazine. 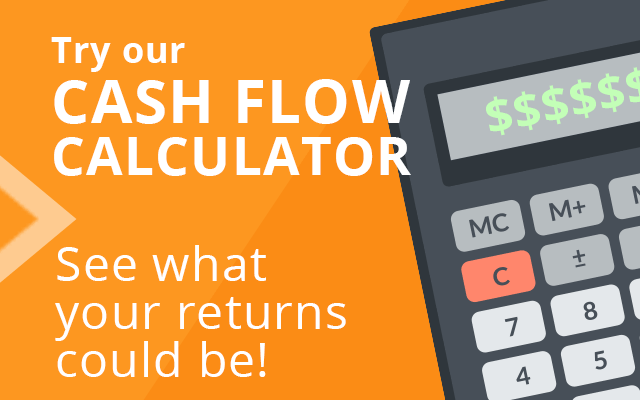 To learn more about our team and our investments, please call (904) 677-6777.